Installation is very easy. Just follow below steps. Just navigate to https://apps.shopify.com/mps-sales-notification page and click on GET button at top right corner as shown in below snapshot. Once you click on GET button if you are not already logged in then Shopify will ask your store url (myshopify.com version), just insert your store URL where you want to install Notify Me app and click on Login button as shown in below snapshot. Once you will click on Login button you will see next screen with Install button. 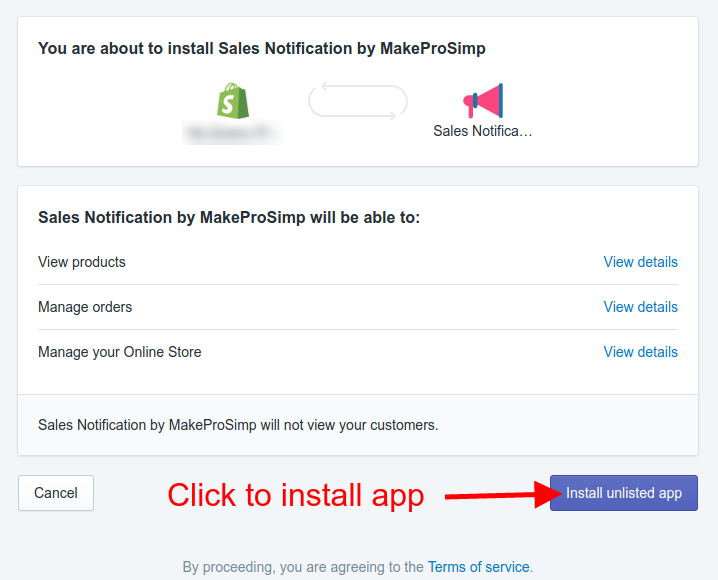 Just press Install button as shown on below snapshot and you will reach to Sales Notification app’s Setting page and App installed successfully. This entry was posted in Sales Notification.